Microsoft Dynamics NAV (formerly Navision) delivers comprehensive business management functionality, from financials to your supply chain to manufacturing and more. It connects the many moving parts of your organization, giving you better visibility into and control over what's going on in your business. And it supports highly specific industries with powerful solutions created by Microsoft partners. Microsoft Dynamics NAV increases visibility and improves insight at all levels of your business, making you confident that the right decisions are being made by the right people in your organization. Streamline your operations and financial management processes with an intuitive RoleTailored user interface and built-in workflows. Get a clear view of your business with integrated systems, shared data, and drill down capabilities that give you visibility into your transactions and provide detailed audit trails. Provide self-service reporting tools and real-time business intelligence that help your people make fast, informed decisions and reduce ad-hoc requests to your IT department. Make smarter decisions to improve your operating margins--and your cash flow. Microsoft Dynamics NAV helps you maximize profitability by getting the most out of your people and systems. Cut operational costs and reduce errors by automating key business processes. Easily analyze financial data to spot trends and take action to improve cash flow. Identify and target your top customers to find new sales opportunities and build loyalty. Focus on your most profitable products and customers. Turn improved profitability into new opportunities with a solution that helps drive and support your business growth. Expand your business opportunities with flexible accounting processes and multi-currency support. Choose the deployment option that works best for your business and increases the flexibility of your IT systems--without increasing IT costs. Grow your business knowing that your systems will scale to match your ambition. Moving to a new business management system might seem overwhelming, but Microsoft Dynamics NAV simplifies the process with a solution that is designed to get you up and running quickly-without expensive development or increased manpower. Deploy on-premises or with partner-hosted cloud solutions that require low up-front investment. 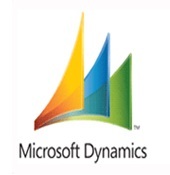 Microsoft Dynamics NAV is highly scalable and compatible with the technology you already use so that it delivers long term value without high costs down the road. Our ongoing commitment to innovation means you are investing in a business platform that will always keep you in the forefront of what's ahead.